Botox vs Fillers, What’s The Difference? One of the most common questions I hear from patients about facial rejuvenation, is “at what age/when should I consider having Botox®?” The reality is, facial rejuvenation can involve different facial injectables, such as Botox®, Dysport® and Xeomin®, in combination with facial fillers such as Juvéderm™, Voluma™, and Restylane®. I thought this would be a good opportunity to write a blog post to explain their differences and how to achieve a patient’s desired out-come. Botox® (Botulinum Toxin), Dysport® and Xeomin® are all facial injectables used in non surgical cosmetic treatments to decrease the appearance of fine lines and wrinkles of the face, by weakening the muscles they are injected into. In your consultation, I will go over the areas of concern you have and discuss your desired goals. I will also take the time to explain the pros and cons of using Botox® and share my philosophy on how to obtain a refreshed, yet still natural appearance. When to consider having Botox®? What is the recovery time with Botox®? There is very little downtime with Botox®, Dysport® and Xeomin®. Other than a little redness for a few hours, on occasion a small bruise may be noticeable. These treatments do not work immediately but you will start to see it take effect in 3-5 days. It reaches it maximum effect around 2 weeks and will last several months. Facial fillers such as Juvéderm™, Voluma™, Restylane® are non surgical treat-ments which can be used for facial rejuvenation. There are many types of fillers, however I prefer to use Hyaluronic Acid. This is a safe, naturally occurring sugar molecule that plumps-up the area treated. If for whatever reason you don’t wish to keep the new look, you can instantly get rid of it with a different medicine. In truth, I have never had to use this, but it is nice to know it is available. The goal with fillers is to improve your appearance by adding volume in an area that is “deflated”. 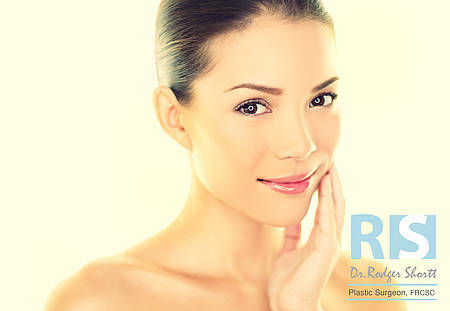 In appropriately chosen patients, it will soften signs of aging and give you a more youthful appearance. When to consider having facial fillers? What is the recovery time with facial fillers? The recovery time after facial fillers is minimal, in general. You may have some redness on the day and bruising that usually resolves in a few days. During your private consultation, these non surgical procedures will be discussed, as well as potential risks or complications, expected benefit and the recovery time specific to the procedure you are having done.